Alexis is an Ocean Detective Agent. One day, Miguel, a fisherman, asks her to solve the problem he has. Some dolphins steal the fish off from his hooks. But curiously they do not eat and just play with them. What are the dolphins doing and why? Alexis dive into the sea to find out. Can she solve this mystery? 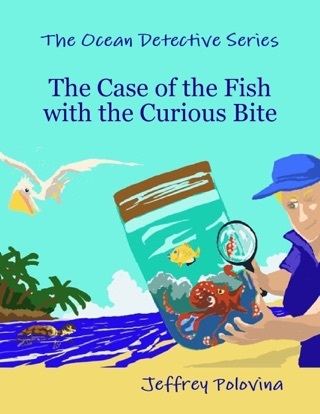 “...I recently bought children's books by Hawaii's National Marine Fisheries Service scientist Jeff Polovina. I haven't met Jeff, but I know his name from some of his 115 research papers, and the awards they garnered, in his 30-plus years of studying the Pacific Ocean. I read this book to my daughter. 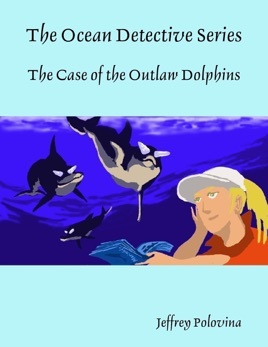 It's got a great story line with interesting marine science facts.